We have received a lot of calls these past 2 weeks about some of the proposed management measures for chinook in 2019. This is a complicated issue so I am going to do my best to explain it succinctly as well assist you in actions you need to take in order to preserve your recreational access to these fish. I know we are all very busy, but if you want to fish for chinook this year you best keep reading, read the DFO letter in the link, and write your own letter to DFO. First a bit of background as there are a variety of chinook types, so bear with me. Some spend 2 years in river before they leave for the ocean and some spend very little time in river as they leave the same year they hatch. Some chinook live in our local waters, while others hang out off the West Coast of Vancouver Island, while yet others go much further afield. So as you can see, the life history of chinook is very diverse. Each river and its specific environmental conditions and subsequent chinook population is unique. As you can imagine, some are doing well while others are facing significant challenges. Some real life examples were seen in 2018 where there were very strong returns of chinook on the Cowichan River and Puntledge River while at the same time certain Fraser River chinook stocks had very low returns. So how do we manage different populations of chinook in order to provide access to the recreational angler for the healthy chinook stocks, yet protect the weaker chinook stocks? That is a complicated scenario, but there are answers. DFO does have the data to know the when and where of chinook interception from all user groups including commercial, recreational, and First Nations. From here they do their best to come up with a management policy to allow sustainable harvest of some chinook stocks while protecting others. It is a very difficult and unenviable position to be in, especially in regards to Fraser River chinook stocks that spend 2 years in the river (known as 4.2 and 5.2) that are not responding well to current environmental conditions. 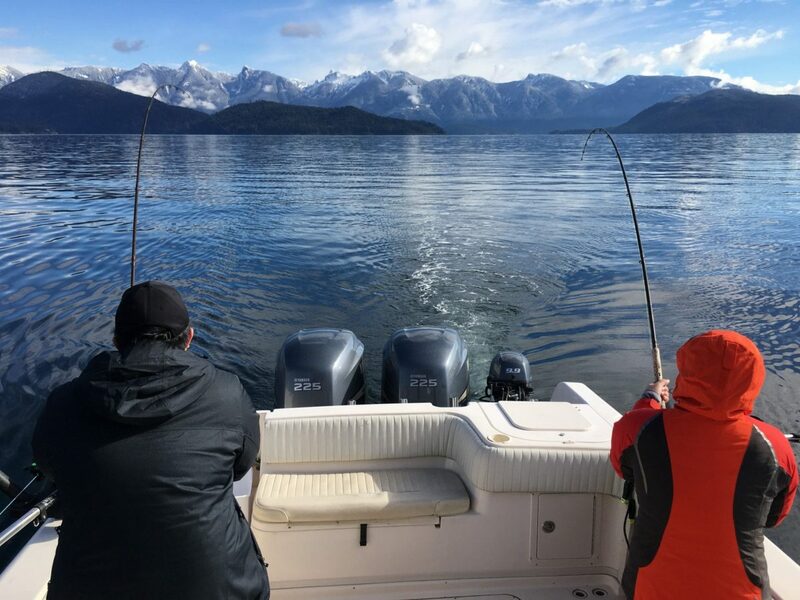 So that leads us to where we are today and I encourage you to read this document – DFO Chinook Management Approach Letter – so you can understand the current situation in detail and how it might affect your opportunities to sport fish. Keep in mind that this document is intended to communicate the Department’s approach for developing fisheries management actions to address conservation concerns for Fraser River Chinook in 2019. I want to specifically point out this is not a document where you need to choose Scenario A or B, as frankly neither are very desirable in my humble opinion. What you do need to do is write a letter to DFO telling them how important sport fishing for chinook is to you both socially and economically. Your letters are having an impact, and we need to keep them coming. Begin by describing your connection and history with the fishery. Are you a business? Are you a local angler? Is fishing part of your family traditions? Do your children enjoy fishing? Do you fish for food? How does angling activity impact your life and your family? If you are a business, how many people do you employ? How long have you been active in the community? How dependent are you on fishing? What will be the impact of scenario “A” on your business, employees, family and community? Don’t be afraid to use powerful language, but never resort to foul language. Do not recommend scenario “B”. Focus on the impact of scenario “A”. By choosing scenario “B” you will limit our ability to improve upon it. This will be especially important for anglers in the Juan de Fuca and Georgia Strait. Restrict your letter to just one page. Talk to your friends and associates and encourage them to send letters! The public fishery is the single largest economic driver of all BC fisheries, yet harvests less than 15% of halibut and 10% of salmon coast wide. It is estimated that the public fishery accounts for less than 4% of all fish harvested in BC.